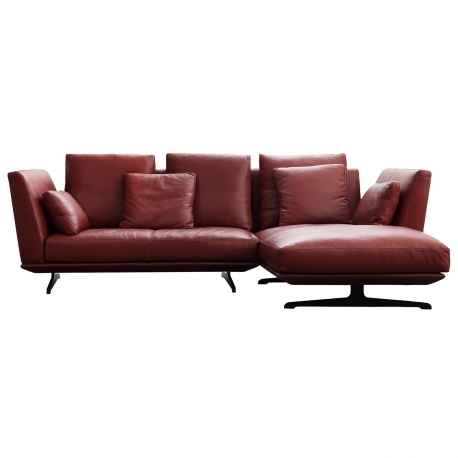 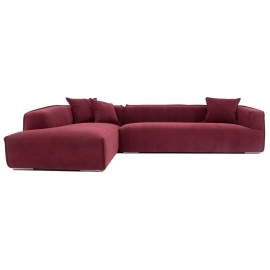 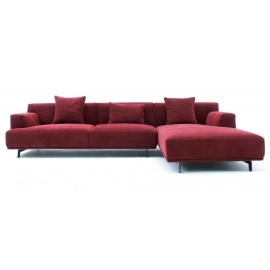 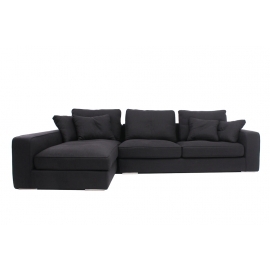 HIL-HIL two seater corner sofa, as shown, burgundy top grain leather with black powder coated stainless steel legs. 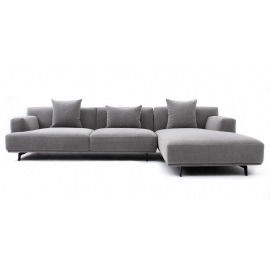 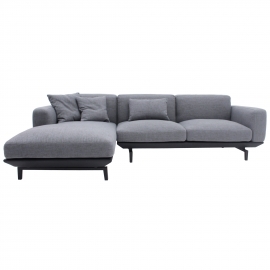 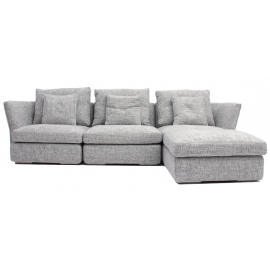 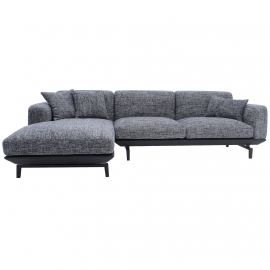 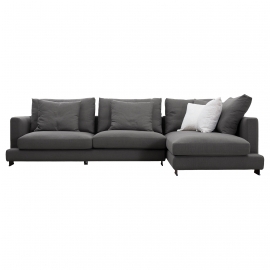 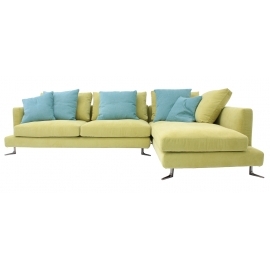 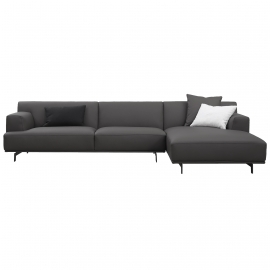 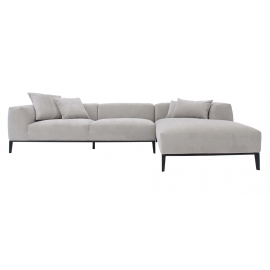 A welcoming, deep seated and high back sofa, a design choice that favours the comfort of the seat, which seeks to look and feel softer and cosier with its down feather padded cushions. 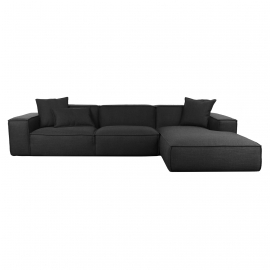 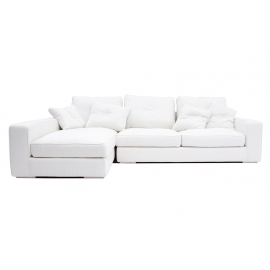 The product is also available as a two seater, three seater or three seater corner sofa and in other colour, synthetic leather or fabric. 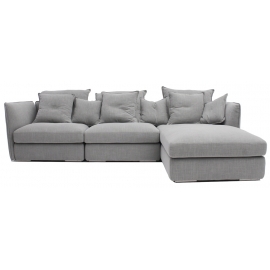 For more details, please contact us or visit our showroom. 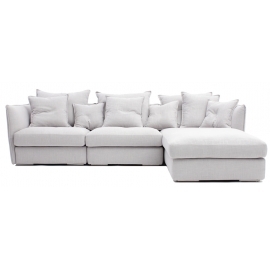 At JG CASA we manufacture your sofa under strict standards to ensure the highest of quality for a long lasting life. 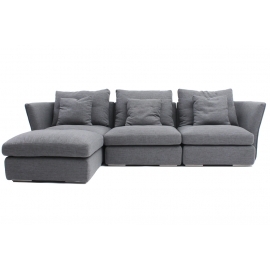 The sofa frame is constructed from dried wood, which is strengthen by a steam drying treatment to reduce moisture content and help retain its shape. 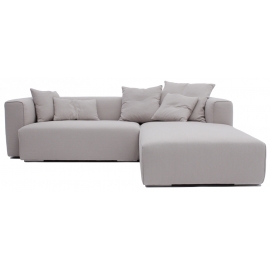 Wrapped around the frame is a durable high density foam. The seat is made out of high density foam topped with down feather mix for extra and superior comfort. 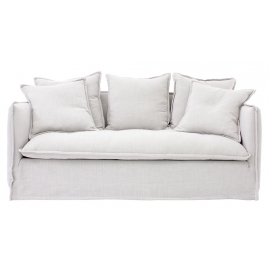 Inside each cushion is 82% down feather mix and 18% foam.